the free flow of water along the creeks, canals and other waterways in the State. 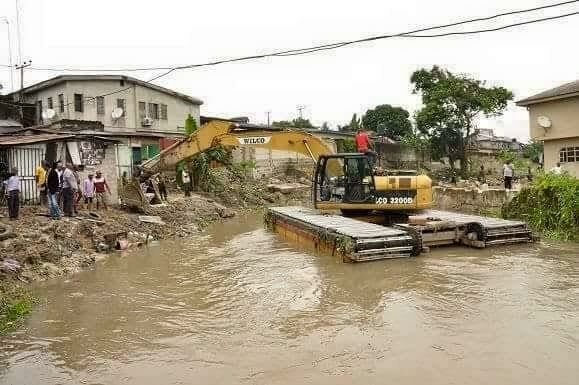 This move, according to the Rivers State Waste Management Agency became necessary to avert severe flooding which is already ravaging parts of the State occasioned by heavy rains across the country. RIWAMA’s Director of Administration, Mr. Ian Gobo who led the operation, stated that the Sole Administrator of the Agency, Bro. 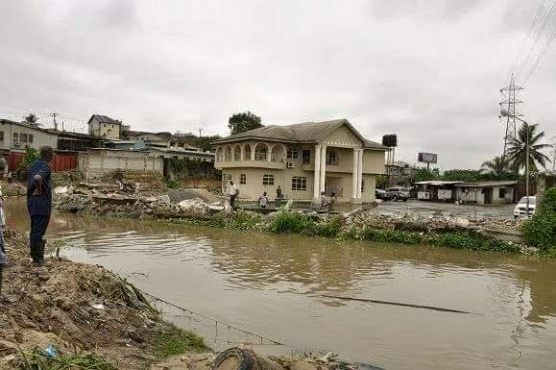 Felix Obuah had in the past weeks warned residents and land developers in the State, especially in Port Harcourt and Obio Akpor LGAs not to erect structures on the waterways, adding that the National Meteorological Agency (NIMET) had listed Rivers State among what they called the ‘flash floods location’. 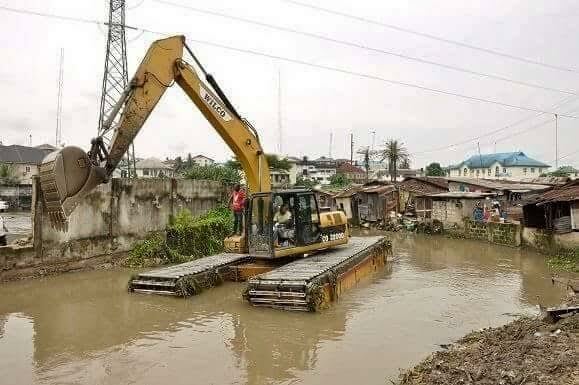 The demolition exercise which began on Wednesday, October 21, 2015, saw the pulling down of two structures which were erected right on the waterway of the Mini Ekere creek in Rumuobiakani, Obio Akpor Local Government Area.